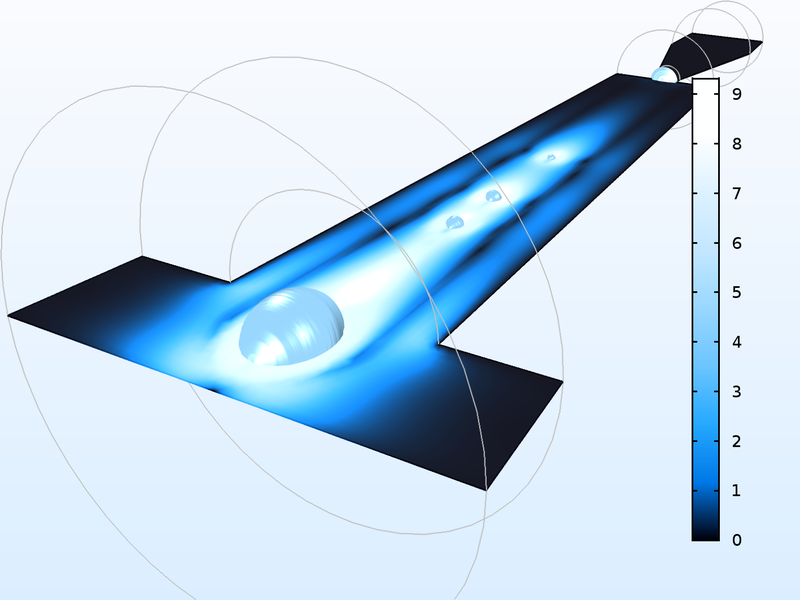 COMSOL Multiphysics® version 5.2a includes a wide range of new and updated functionality to render and visualize your simulation results, including six new color tables to enhance postprocessing; new annotation capabilities for 1D plots and LaTeX equations; and table surface plots, which offer a new way to see model data. 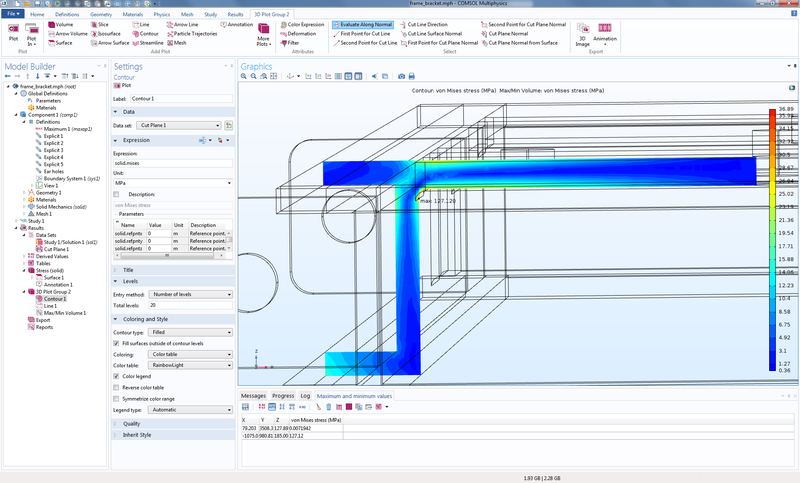 Browse all of the rendering and visualization updates included in COMSOL Multiphysics® version 5.2a below. 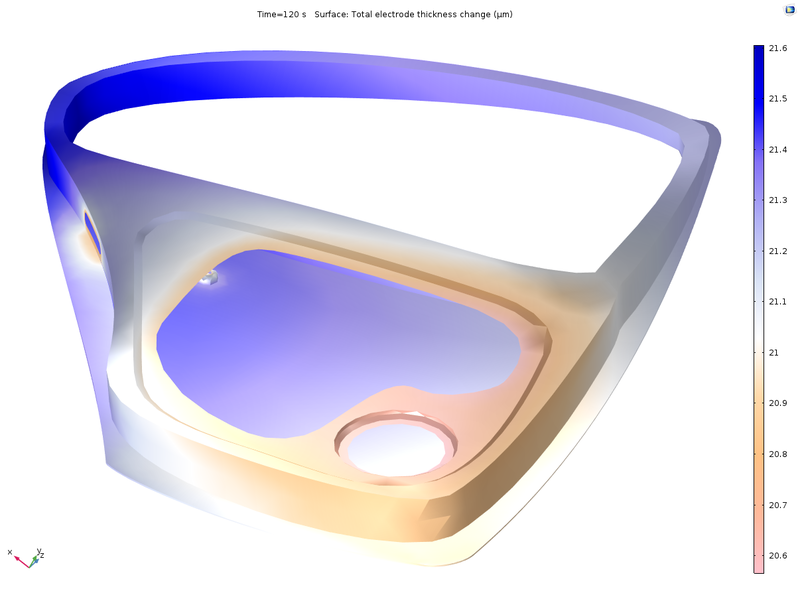 A visualization that uses the new Twilight color table option, showing the change in layer thickness from the Electrocoating of a Car Door tutorial model. A visualization that uses the new Jupiter Aurora Borealis color table option, showing the flow around droplets from the Inkjet Nozzle — Level Set Method tutorial model. 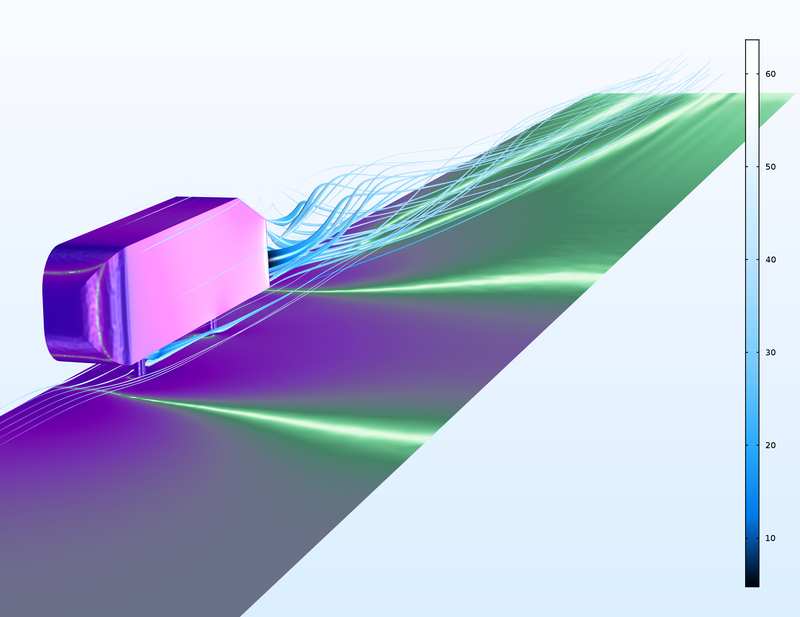 A visualization that uses the new Jupiter Aurora Borealis color table option, showing the streamline flow around a car-like Ahmed body from the Airflow Over an Ahmed Body tutorial model. 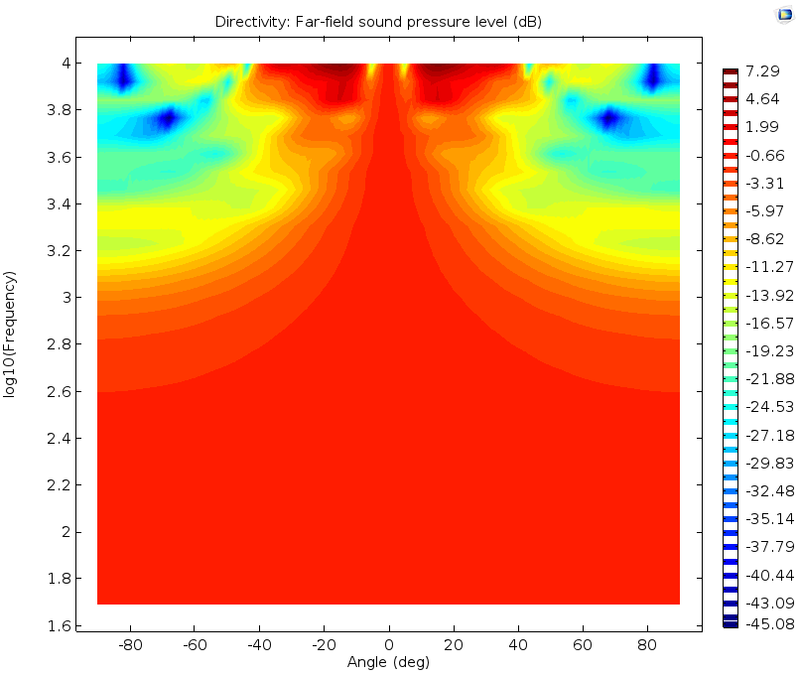 The plot also shows the logarithm of the pressure field using the new Aurora Borealis color table option. 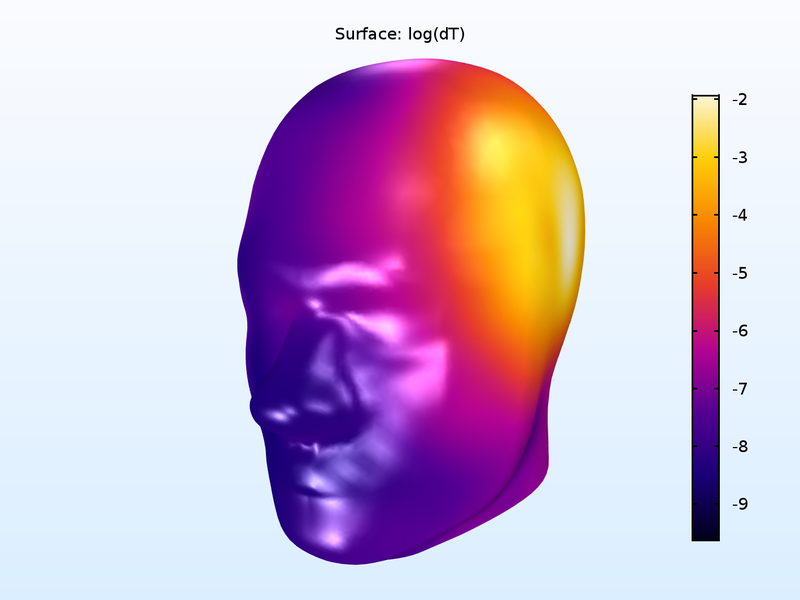 A logarithm of the change in temperature in a phantom head subjected to a cell phone's microwave radiation from the Absorbed Radiation (SAR) in the Human Brain tutorial model, visualized using the new Heat Camera color table option. You can now include annotations for 1D plots. 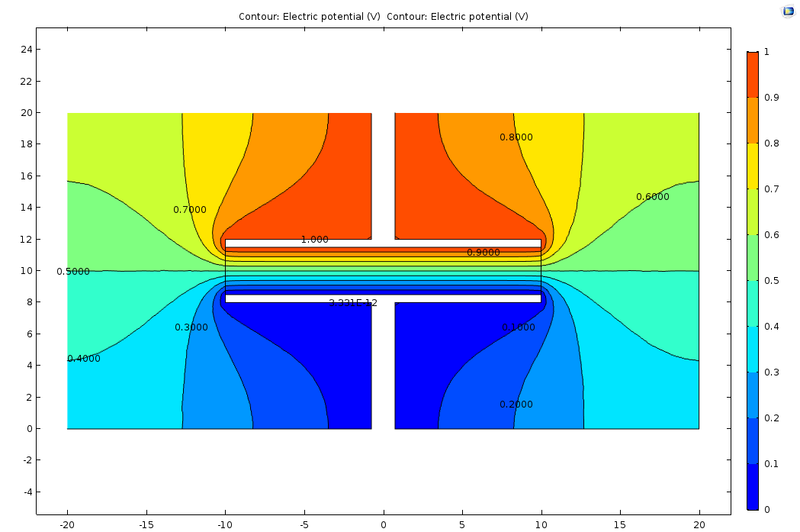 This option is already available for 2D and 3D plots in earlier versions of COMSOL Multiphysics®. In addition, the annotation functionality has been expanded and includes annotations in plot titles and annotations with background colors, frames, and LaTeX markup. Line breaks are now available by using the LaTeX markup option together with special character syntax: \\. A structural analysis, showing the location and value of the maximum von Mises effective stress. The annotation includes LaTeX markup with a background color and frame. The Contour and Isosurface plot types now include an option for using a filled legend. This functionality is especially useful for filled contour plots. 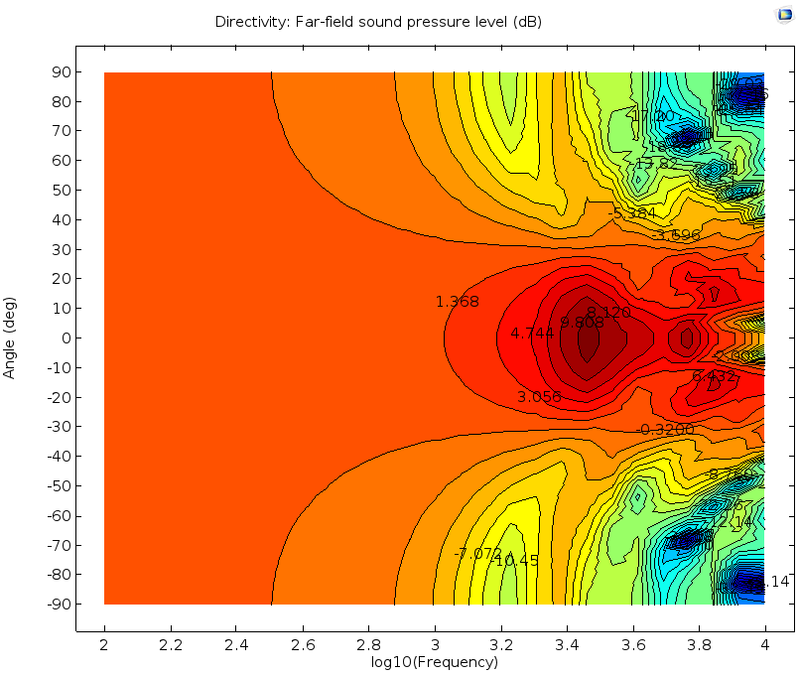 A filled contour plot from the Computing Capacitance tutorial model, with the filled legend to the right. The Data and Plot export features now support the export of unstructured VTK files (.vtu). This file format allows third-party programs to use this data for visualization. Exporting data or a plot presents a list of file formats that now includes the Unstructured VTK File format option. 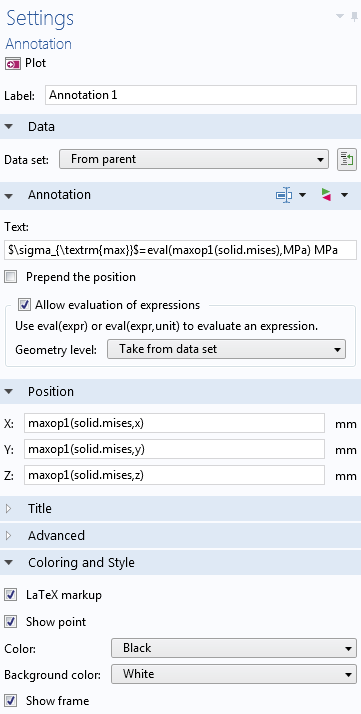 The numerical evaluation features can now evaluate multiple expressions at once. This saves time for more complicated models, since you no longer need to add one Evaluation Feature node per expression. 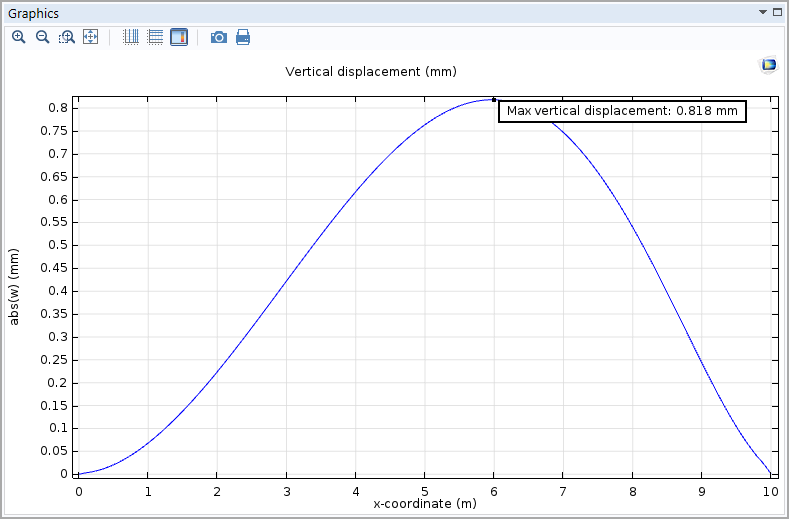 The Table Surface plot now supports discrete, or staircase-shaped, plots. Additionally, you can create a Table Surface plot from data that has been imported from a file using one of three formats: Filled table, Columns, or Cells. 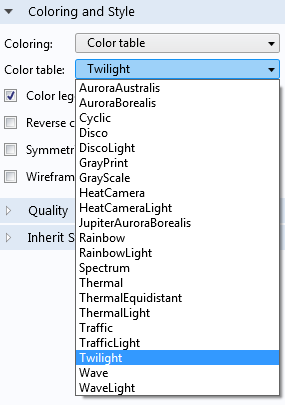 The Filled table option corresponds to the functionality of earlier versions. 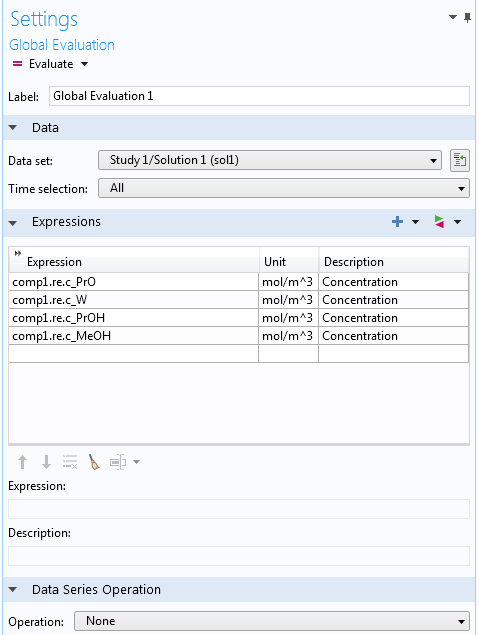 The new Columns option supports data on a column-oriented format. 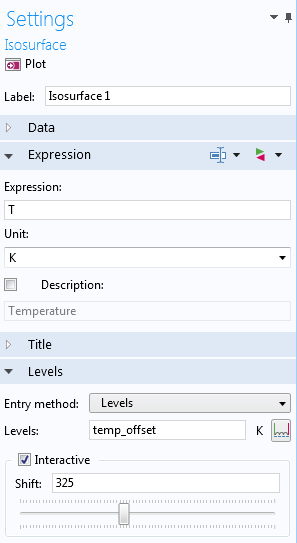 For example, an imported file corresponds to data saved on the format x,y,z,T, with x,y,z coordinates in the first three columns and a field variable such as temperature in the fourth column. The new Cells option can be used to import discrete data on a matrix format, such as resistance, capacitance, or inductance matrices. A discrete Table Surface plot with a Height Expression based on imported data. 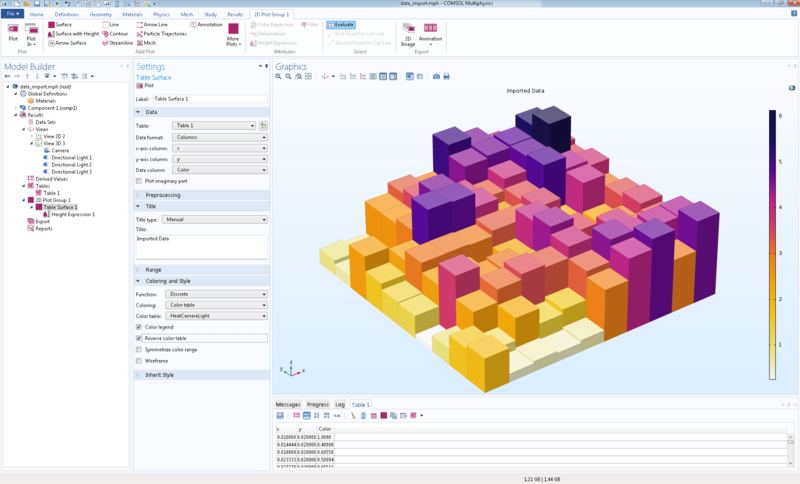 The new Inside material domains option regards all domains with the same material as the same region with respect to smoothing, but keeps discontinuities for material interfaces. 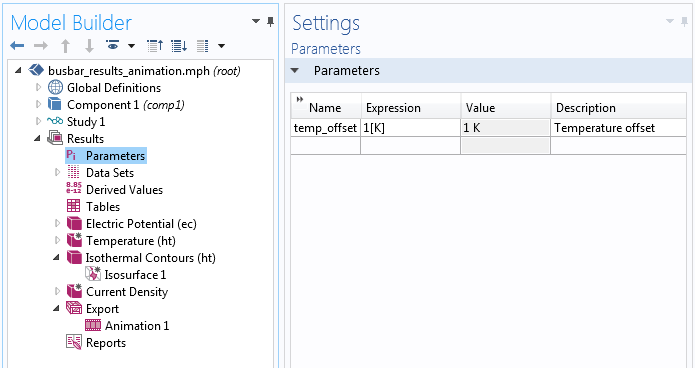 The Expression choice can be used to customize the connected region used for smoothing, which is applied within regions where the given expression is constant. 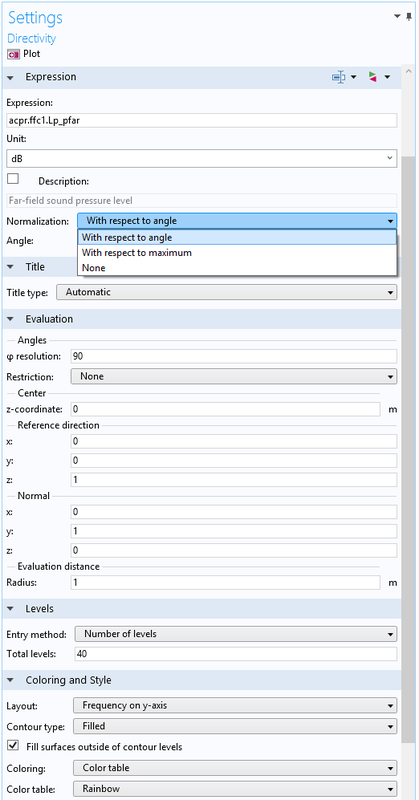 A new Smoothing threshold option makes it possible to consider values that do not differ significantly from each other as having the same value with respect to smoothing. If two adjacent points have different values, then smoothing is performed only if the relative difference between their values is, at most, the given threshold value. 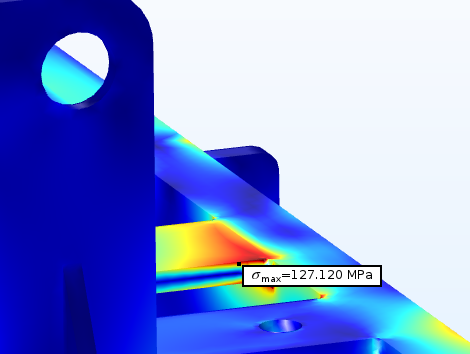 The new Inside material domains option for smoothing. The new Threshold setting for smoothing. The new Expression option for smoothing. 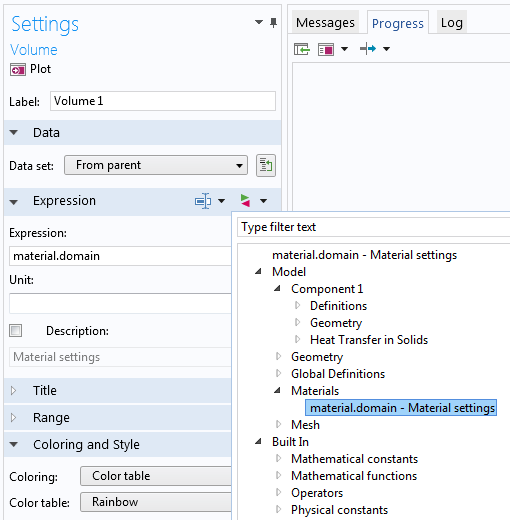 A new variable, material.domain, is available for use in expressions used for custom physics settings as well as in results. This material variable is an indicator variable with a constant integer value throughout domains that have the same material properties. Variables for material definitions on boundaries, edges, and at points are also available as material.boundary, material.edge, and material.point, respectively. The variable material.entity is available at all entity levels: domain, boundary, edge, and point, and inherits any discontinuity from the domain level down to lower dimensional entities. The new indicator variable for materials. A new Parameters node can now be added as a subnode to Results. These new types of parameters can be added, edited, and used as auxiliary variables in postprocessing and visualizations without having to recompute the model. 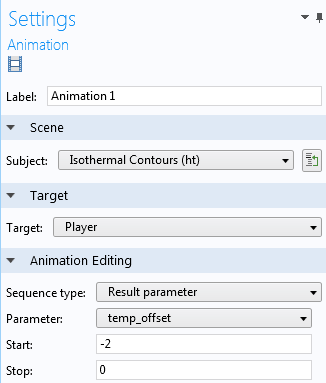 For example, a new option for creating animations based on a Result parameter enables you to use such a parameter to animate the location of a slice plot, the isosurface levels, or the position of a cut plane data set. Define parameters in the Parameters node under the Results node to animate the location of, for example, an Isosurface plot. You can now use globally defined expressions to specify coordinates for plots. 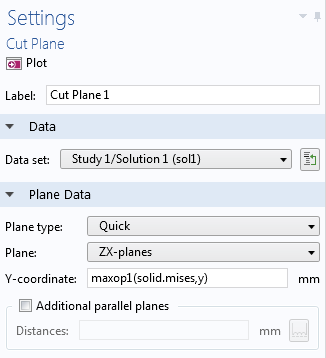 For example, you can let the coordinates of a cut plane be determined by the location of the maximum of a field variable. This functionality is also available for the positioning of slices, arrows, cut lines, and more. A contour plot in a cut plane positioned at the global maximum of the effective stress.